The aluminium 'H' Frame is fitted with four conical couplers. Supplied powder painted in silver or satin black with four tapered pins, these 'H' Frames can be connected together or connected to the small 'H' Frames. Connections are made with our T45755 connector. 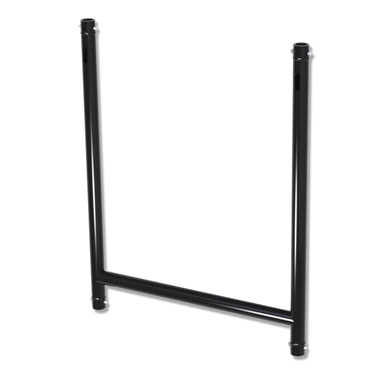 Tank Traps adaptors are also available enabling the 'H' Frames to be floor-standing.